This toolkit, compiled by the Spiral Foundation and supported by grants from the John W. Alden Trust and Maxwell Hurston Charitable Foundation, is designed to help parents and guardians better understand and support their children’s sensory needs. 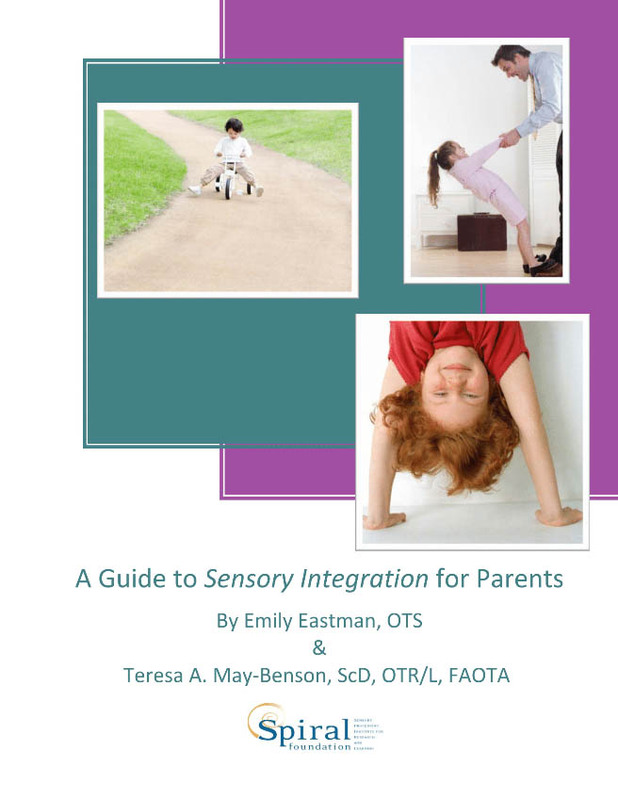 “A Guide to Sensory Integration for Parents” is a free, downloadable handbook for caregivers whose child has recently been diagnosed with Sensory Processing Disorder (SPD) or who suspect their child may have sensory related difficulties. This handbook includes a brief introduction to the history of sensory integration, descriptions of common signs and symptoms, an overview of different types of interventions, and more. This 20-minute PowerPoint presentation, presented with voice-over narration, provides an introduction to Sensory Integration, Sensory Processing and Sensory Processing Disorder and is presented free of charge. This PowerPoint also introduces the concept of sensory diets and supportive sensory strategies. This presentation may be effectively used to introduce teacher groups to SPD or may be an appropriate presentation for a parent advocacy group. 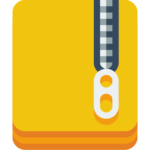 The presentation is provided in a variety of formats. The video format includes voice over narration. The pdf version is appropriate for handouts to accompany the video presentation. The audio-recording format may be played on any standard MP3 device including iPods and iPhones and is appropriate as a stand alone introduction to SPD. This three minute video, part of the longer When Our Senses Don’t Make Sense, features several short interviews with therapists, caregivers, and clients. It offers a brief but poignant glimpse into the world of sensory integration and Sensory Processing Disorder. Este webinar tem por objetivo abordar a Integração Sensorial, proporcionando à audiência um conhecimento básico sobre a história da Integração Sensorial, sobre os transtornos relacionados, como identificar estes transtornos em suas crianças e se familiarizar com a terapia ocupacional como forma de tratamento para os devidos transtornos. Este webinar tem por objetivo abordar as formas de tratamento para transtornos de processamento sensorial, aprender sobre esta intervenção em integração sensorial e a importância da terapia ocupacional nesta e conhecer a função de alguns equipamentos utilizados na realização desta intervenção. 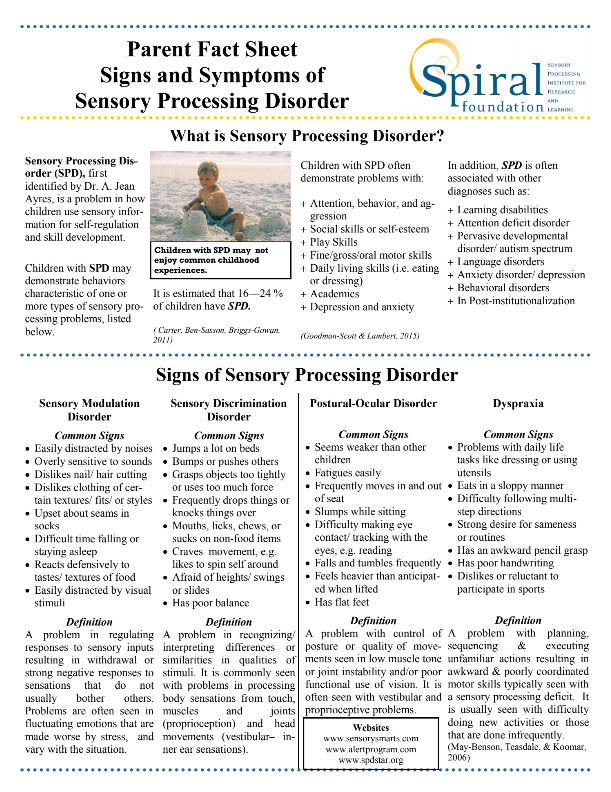 These fact sheets, developed by the Spiral Foundation, detail some of the most common signs and symptoms of Sensory Processing Disorder to be recognized by parents and caregivers, educators, and physicians. They include definitions of different types of sensory dysfunctions dysfunction and related symptoms, brief sections on research and statistics related to Sensory Processing Disorder, and reference and resource lists. Many of the books named in the reference section of these fact sheets can be found in the Spiral Foundation’s store. 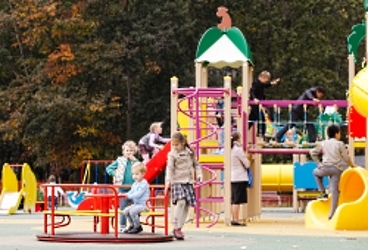 Sensory processing impacts all areas of a child’s life, including play. This free booklet provides parents and teachers with strategies for helping children with sensory processing difficulties get the most out of their playground time. Sensory Processing Disorder, and other sensory-related dysfunctions, can present in all sorts of different ways that vary by age and individual. 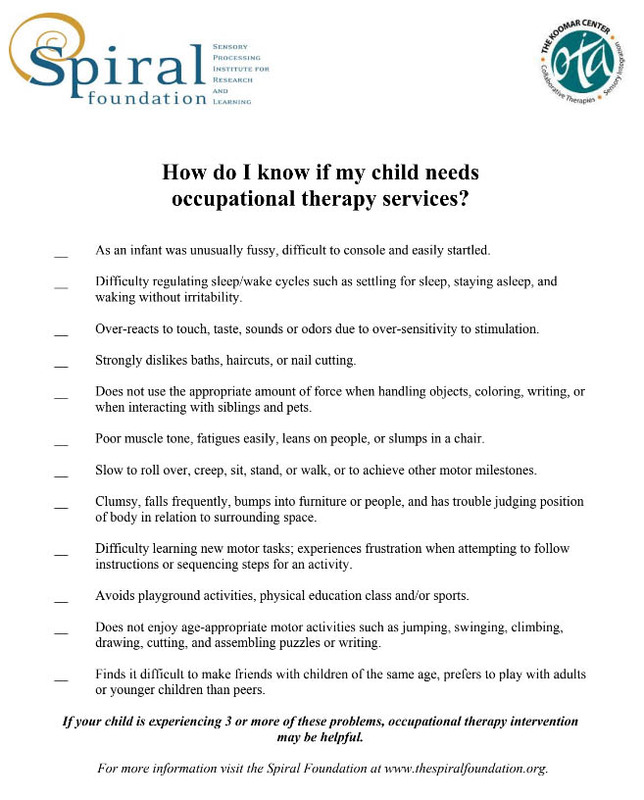 These ‘How Do I Know?’ checklists are tailored to different age groups and offer a quick and easy way to determine if sensory integration-based therapies may be helpful for a child. They are not exhaustive and cannot, and should never, replace a proper evaluation, but they can be a good place for the concerned parent to start. 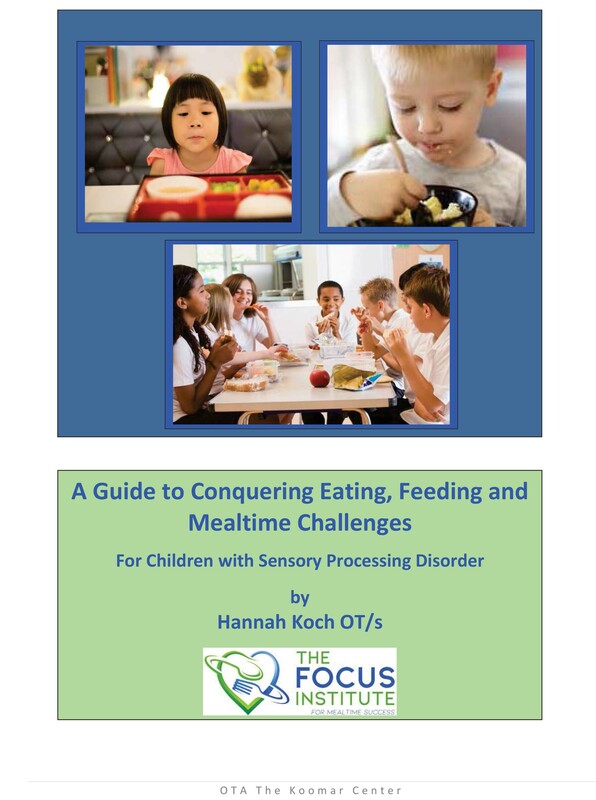 The free Parent’s Guide to Mealtime Success provides information on underlying sensory and motor factors which may impact a child’s ability to eat and participate successfully in mealtimes. It provides strategies to support mealtime success and introduces the FOCUS Program for Mealtime Success intervention program. Sleep challenges are one of the primary difficulties reported by parents of children with sensory processing problems. 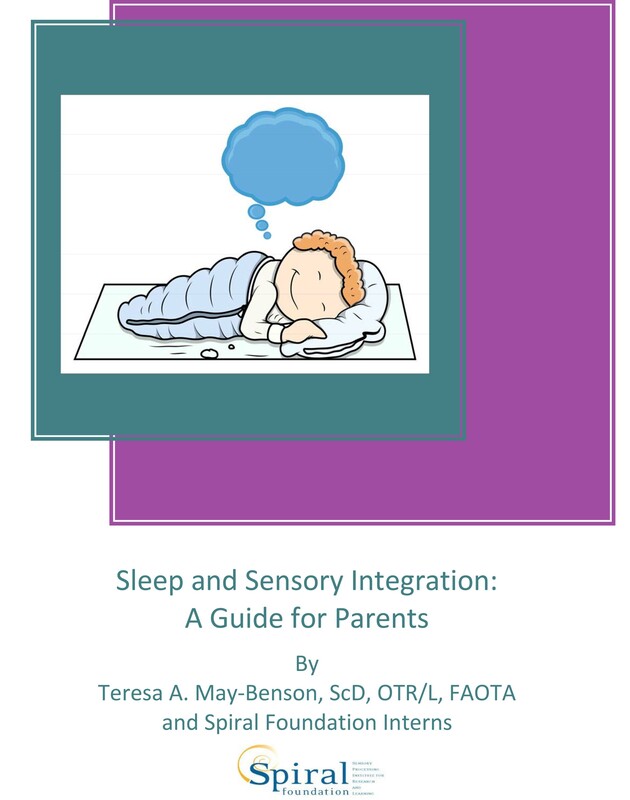 This free guide, Sleep and Sensory Integration: A Parent’s Guide, helps parents understand their child’s sleep and bedtime challenges and provides key tips for helping your child with SPD sleep better. A classic book by the ‘mother’ of sensory integration, updated and parent-friendly. It remains a valuable work on the subject, both practically and historically. The Out-of-Sync Child provides and an in-depth exploration into sensory integration and sensory integration-related difficulties. It’s companion book, The Out-of-Sync Child Has Fun, offers ideas for a variety of sensory-based activities to use in the home and schools. The most up-to-date guide on understanding and treating Sensory Processing Disorder in children currently available. Part memoir, part educational guide to sensory processing and sensory processing problems, Growing Up with Sensory Issues provides a much-needed and often missing perspective of SPD: That of the individual living with it.